I’m having trouble adjusting back to normal life after spending four days with some of the smartest, most inspiring people I’ve ever met at FinCon 2016 in San Diego. If you don’t know this already, FinCon is a financial conference where thousands of personal finance bloggers get together and talk about money hang out and have a great time. If you’re on the fence about attending FinCon 2017 in Dallas, read this review of FinCon 2016. PS – I attended FinCon 2017 in Dallas and it was amazing. I will be attending FinCon 2018 in Orlando. Join me here and learn more about the tickets & cost with this link. 1. If you want to achieve extraordinary things, surround yourself with extraordinary people. My trip started on Wednesday night when I arrived to the houseboat Gwen from Fiery Millennials, Jeremy from Go Curry Cracker, and I rented off of Airbnb. The marina was within a five minute walk to the conference hotel and was the best decision we could have made for FinCon accommodations. We saved hundreds by going with the houseboat and also had access to a kitchen and a sweet rooftop deck where we hosted small gatherings parties each night. Jeremy brought his wife, Winnie, who is not only a talented blogger too but is also an amazing cook, as well as his son, Julian, who is the cutest thing ever. Our Next Life, Noah and Becky from Money Metagame, and the Madfientist couple, were some of the awesome FIRE folks I got a chance to hang out with on the houseboat along with many other bloggers and spouses. I had met Jeremy and the Mad Fientist at the Chautauqua in Ecuador where I first experienced how motivating it is to be surrounded by people who have achieved exactly what I want to achieve. Both GCC and MF retired in their thirties after saving aggressively for many years. They now have the freedom to travel the world and pursue whatever they want in life. Conferences like FinCon help connect likeminded individuals and help reinforce what some would consider extraordinary views of the world. Even though I’m exhausted from not sleeping and hanging out with all of these crazy amazing people, I feel more energized than ever to achieve my goals. 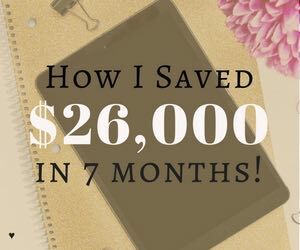 I recently paid off $89,000 of debt and started aggressively saving (I saved $26,000 in the first seven months of this year). After FinCon, I’m going to make some tweaks and bump up my savings rate to shave a few years off my timeline to FI. 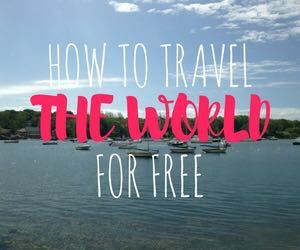 If you’re not signed up yet for Airbnb, use my Airbnb link and get $40 towards your first trip and I get $35 towards my next trip. Everyone wins? 2. Sometimes you have to take a leap of faith. 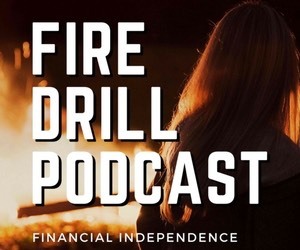 One of the conversations that really stuck with me was a chat that I had with Bobby from Millennial Money Man, Kate from Cashville Skyline, and Erin from Broke Millennial. All three recently made the switch to entrepreneurship and we were talking about how scary it is to take that plunge. All three said they were nervous when they took the plunge but it has been the best thing that has happened to them. It was inspiring to listen to their stories. FinCon is all about drawing advice and inspiration from other people with crazy impressive goals. 3. Remember why you started in the first place. My favorite presentation of the conference was the one on Multiple Intelligence Theory by His and Her Money. The main point of their talk was that as financial bloggers, we have to remember that people learn in all different ways and that reading blogs is only one of those ways. If we truly want to help people improve their finances, we have to put out content that appeals to visual learners too. There are so many people out there who can benefit from this information and we owe it to them to get on video (YouTube, Periscope, Facebook Live), as uncomfortable as it may be for us. I’m personally a little scared of putting out video content since 1) I’m sort of anonymous and 2) I don’t like to be on camera. I think I might take the first step towards video though and start a podcast. I talked to a few people about starting a podcast at FinCon so be on the lookout! It also must be mentioned that the His and Her Money couple gave me major #relationshipgoals. If you haven’t seen them talk, check out their podcast and videos. They are hilarious and have so much energy. 4. Be willing to put in hard work. I attended Zac Johnson’s talk on monetizing your blog and was very impressed. He made a boat load of money during the Myspace days through advertising on a website he created to help people personalize their Myspace pages. He now teaches people how to make money online with affiliate marketing. The best thing about Zac though is that he has a no B.S. approach to his success. He mentioned that the difference between people who succeed and people who fail is just the willingness to put in the work. He also gave me some pretty great tips to grow my audience in the Q&A at the end of the session. Zac seems like a really smart and down-to-earth guy (despite the $300k check he got from Yahoo) and I was lucky enough to meet his wife after the session and she is super nice as well. 5. Find influencers and put yourself out there. Gwen from Fiery Millennials is one person you need to know. 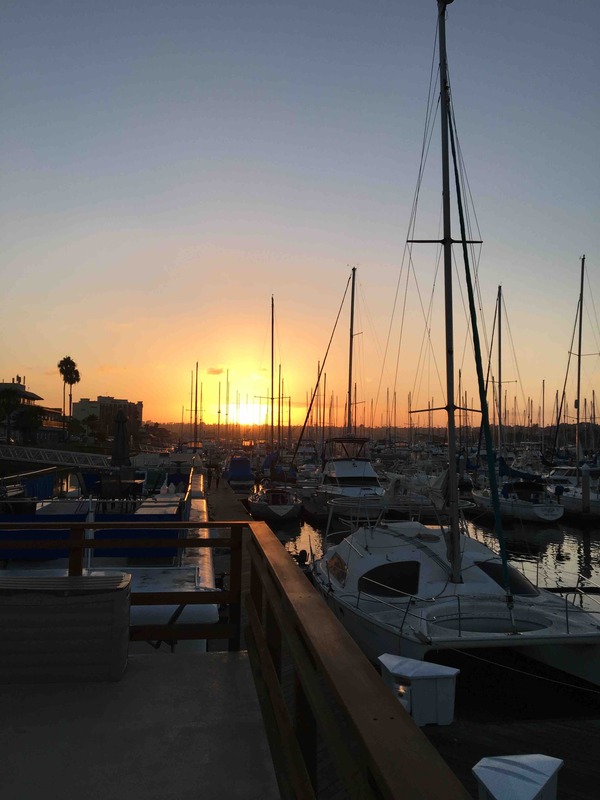 As she mentioned in her review of FinCon, we spent 3 days hanging out, watching sunsets and sunrises on the boat, meeting our favorite bloggers, and learning together. 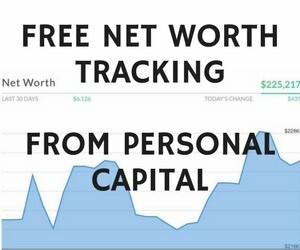 She is on the path to FI too and has an impressive $100k net worth at 25 years old. Gwen is also super friendly and organized many of the houseboat parties. We all appreciated her outgoing personality since she brought so many of us together. Thanks, Gwen! Erin from Broke Millennial is another new friend of mine and influencer in the personal finance space. We met up for coffee and found that we had many commonalities professionally and in our personal lives. Erin made a few introductions for me at the conference and helped me get to know other bloggers outside of the FIRE world. She also is a great sounding board for ideas and has recently landed a book deal! So excited to read her book when it comes out next year and to see her again in Dallas! If I could give you one recommendation for FinCon 2017, it would be to talk to everyone. Meet as many new people as possible and put yourself out there. 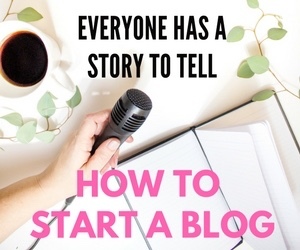 If you need a little help, find an influencer and ask them to make an introduction. Everyone is so friendly and there to meet new people too so don’t be shy. It was so fun hanging out and learning with all of these bloggers at FinCon 2016. I can’t wait to see everyone next year! In fact, I already bought my ticket. Are you attending FinCon 2017 in Dallas? Hope to see you there! I’ll be there! Thanks for the kind words. Let’s get another AirBnB in Dallas. There’s one with access to an Olympic sized infinity rooftop pool!! I’m in! We will have to find a way to top this experience which will be hard! So nice spending time with you too and we are definitely meeting up! Party space is a must – We’ll have to think of something creative for Dallas! What are the technical skills you had learnt which helped you with new career. Thank you. The first set of skills was SEO, Social Media Marketing, Google Analytics, HTML, CSS and then the most recent set of skills was Java, SQL, R, Technical Specification Writing, and Project Management. You can learn all of these skills through books/online although I learned the latter skills through an online Masters program that my employers have reimbursed. Ah! This is so exciting! I’m new to blogging so I wasn’t able to attend FinCon this year but I already have my ticket for next year. I will definitely meet you and can’t wait to meet EVERYONE else. I got a little buyer’s remorse after I purchased because it’s over a year away but this definitely fixed all of that. Can’t wait to party with you in Dallas! Same!! See you next year! Any chance you all have a promo code to get a discount on the Dallas tickets? Would love to go! No, I don’t! The early bird special will be advertised in a few months. That is the ticket I bought last year. See you next year I hope! I might go if I/we can get down there for decent prices or miles. It sounds like an amazing time. I loved seeing all the positivity on Twitter, and these recaps have been fantastic. Thanks for sharing! I used Southwest points for this trip! Highly recommend. Awesome post and great recap! 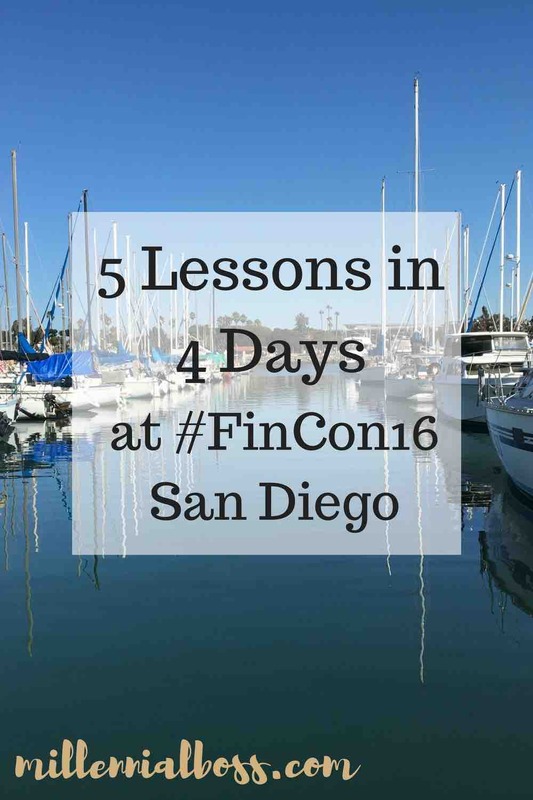 Glad to hear that you had such a great experience at FinCon16! I actually just bought my ticket for FinCon17 yesterday and am looking forward to meeting up with all the amazing minds out there! I love learning from others and being able to network and just do life for a couple of days with such amazing people! Hope to see you there! See you there! It will be a great time! I’m so lucky that FinCon will be in Dallas next year. I’m going to try to get placed in Texas, which is where I’m originally from before I took my current job, and if I get placed in Dallas or Houston, I’m definitely going to the conference!!! Glad that it was a lot of fun / helpful! It’s a great time! Hope you can attend! Saturday was by far my favorite day of FinCon! I loved getting to meet and talk in person and my only big FinCon regret is that I never got to go to a FIRE chat. Here’s to me getting to go in Dallas! Broke Millennial recently posted…How Would You “Waste” Money to Improve Your Quality of Life? Yay! Me too! So glad we got to hang out! There will be plenty of FIRE chats in Dallas I’m sure. Keep me updated on how everything is going! Kate @ Cashville Skyline recently posted…Are These Credit Myths Costing You? I will!! And what a great idea with the list of intentions! FINCON is such an AMAZING time. So glad we got to hang out! It was great meeting you at FinCon Julie! Can’t wait to do it all over again next year in Dallas, but first I need to put some of the inspiration I got into action. Haha thanks! I’ll update 🙂 Loved hanging out with you guys! And same on putting the inspiration to use. I have a list of things I want to do! Glad to hear FinCon16 treated you well, Julie; the houseboat was an outstanding idea! Dallas should be well attended, by me anyway. Being somewhat centrally located and easy to fly into, many others should be able to join us. I bought my ticket right away. Thank you and see you next year in Dallas! I’m also planning on going to FinCon next year. And buying the ticket now forces me to keep pushing along with the blog, so I feel like that’s a good motivator to keep chugging along! But gosh, I feel like I’d be star struck over there. Nah you can’t go all fan boy on everyone! 🙂 Stay cool. Michelle recently posted…Are You Better Than Average? Glad we got to meet too! I had such a great time. See you there next year! Sounds like an awesome time…it’s great to talk and learn from some these smart and successful folks. I really need to make it to FinCon one of these years. Taking the leap of faith is also something on my mind, but it’s tough. I have a comfortable government job with a pension so that’s hard to give up…plus I have 2 little ones so I crave the stability and I’m not much of a risk taker. But you never want to look back on life with regret…woulda, shoulda, coulda. That’s why I’m constantly inspired by the above mentioned bloggers…they made the leap of faith and are living life on their terms. It was such a good time! Hope to see you at one in future! I remember you commenting on my houseboat article that you’d be staying in one soon. I didn’t realize it would be at FinCon! That’s awesome! After the firsthand houseboat experience, any more insight on whether I’m smart or insane for wanting to live in one? Oh and great FinCon recap! I may have to return home to Texas in 2017. You gotta go to FinCon! Excellent experience! I had such a great time and the houseboat was awesome. I don’t know if I would pay a premium to stay in one but sounds like from your calculations, it’s much cheaper than an apartment! Good stuff! Who knew that FinCon would make us the new Trekkies? Maybe a cos-play event is in order? I’ll be Warren Buffet. Seriously, great to see like minded people bond over a good cause. I’ll keep trying to sell my wife on the idea of me going to one of these. Do it! Hope to see you there! I was SO stoked to hear that FinCon will be in Dallas this year. I spent most of my youth in Dallas and am only 350 miles South now, so it’s within reach. The big hurtle will be the cost of the event. Oh, I can easily afford it, but it’s not going to be easy to convince my spouse that I need to go and spend the money to do so. Guess I’m going have to ramp my side hustles up and put the money away, so it won’t come from the family money. You’ve written some great reasons to go, and I know they’ll be my motivation to get there. Let’s just plan on saying hey and shaking hands in 2017. How’s that? Gosh I would really like to attend FinCon this year but just not sure it’s doable. I saw the early bird tickets and twiddled my thumbs. I would love to meet everyone in person but not sure if this year is my year to go. It’s such a great, motivating event! Maybe you’ll go to one in future! I don’t think I’ll be going to one while I still have student loans, but I’d definitely like to go once my loans are paid off! It sounds like a great experience! hopefully see you at one in the future!